CCA Kids Blog: #ThankfulThursday: Honk If You Love CCA! #ThankfulThursday: Honk If You Love CCA! Cars are a great way to get around town, but did you know they can help CCA raise money, too? Here are two ways you can say "thanks" to Children's Craniofacial Association that involve your favorite modes of transportation. One way to express your gratitude is through CCA's car donation program. 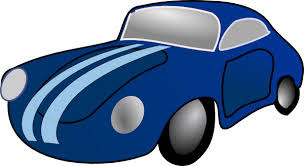 You can help us by donating your unwanted car, boat, motorcycle, or other vehicle. Learn more about this program on our website. The second vehicle to help us raise funds is to purchase a car raffle ticket. You could win a Jeep Wrangler, Dodge Ram, or Chrysler Pacifica. Buy 1 raffle ticket for $100 or 3 tickets for $250. Buy a ticket and read the terms and conditions of this promotion here! Join the GapKids #ChooseKind Challenge!